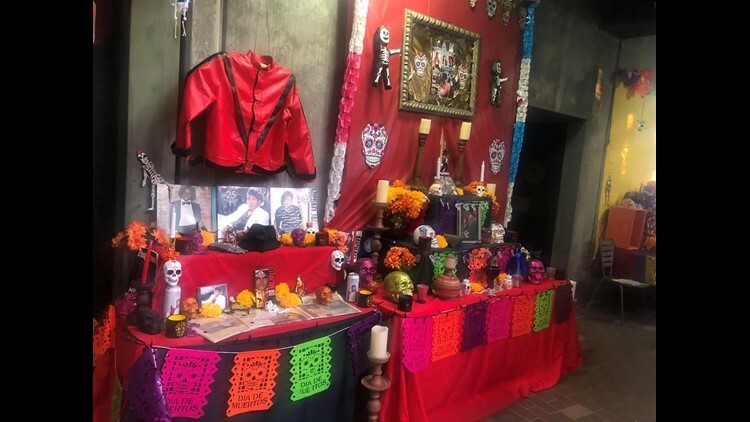 Celebrating one of Mexico's most vibrant holidays, Old Town icons Bazaar del Mundo and Casa Guadalajara will unite to honor Día de los Muertos, Thursday, Nov. 1 through Saturday, Nov. 3. 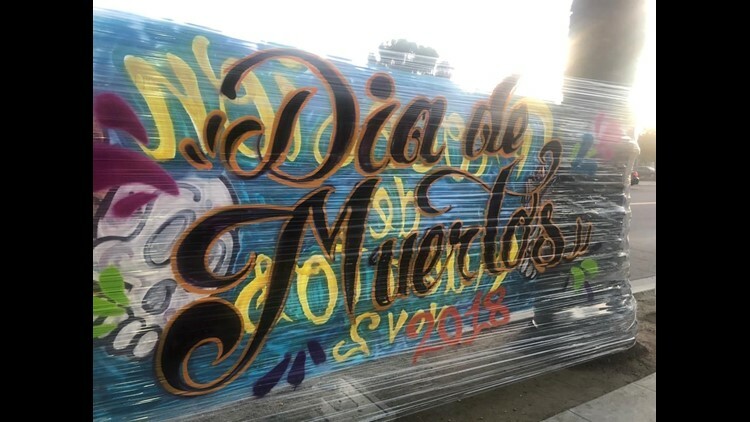 SAN DIEGO (NEWS 8) - Celebrating one of Mexico's most vibrant holidays, Old Town icons Bazaar del Mundo and Casa Guadalajara will unite to honor Día de los Muertos, Thursday, Nov. 1 through Saturday, Nov. 3. Throughout the weekend, visitors will enjoy delightful performances from lively Ballet Folklorico dancers and Casa Guadalajara's world-class Mariachi band. Chinelos dancers, popular in Mexico but rarely seen in the United States, will perform in vibrant, traditional costumes designed to mock Europeans and European mannerisms from the colonial period to the end of the 19th century. Festivities commence on Thursday with the Old Town Altar Walk. Beginning at Bazaar del Mundo and Casa Guadalajara, maps will be given out for the walking tour throughout Old Town to view more than 40 beautifully decorated altars. WHEN: Thursday, Nov. 1, 12 to 8 p.m. Friday, Nov. 2 and Saturday, Nov. 3, 10 a.m. to 8 p.m. Admission is free and guests may park for free across the street at Caltrans (after 5 p.m. Friday and all-day weekends) or take the trolley. 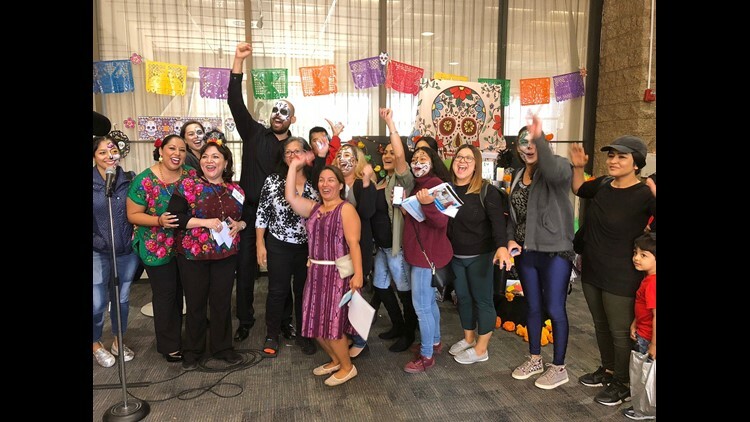 Also celebrating on Thursday was San Diego Continuing Education which hosted its annual Dia de Los Muertos celebration, one of multiple celebrations that took place in San Diego County throughout the day. The program's Associated Student Body hosted an altar-making competition during the event. 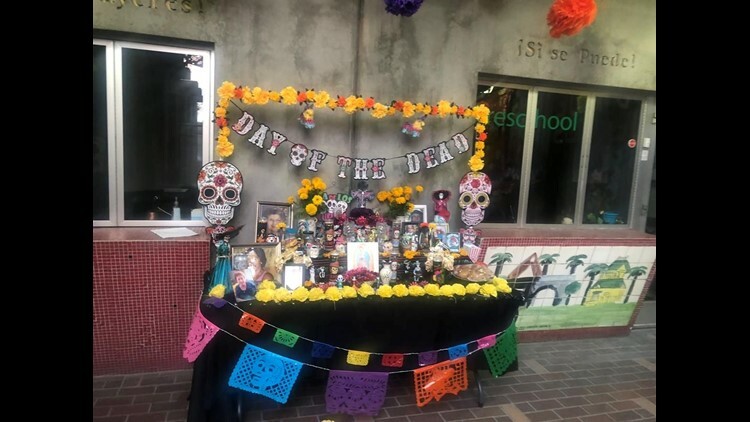 Called ofrendas in Spanish, Dia de Los Muertos altars pay tribute to the dead with symbolic and cultural elements like photographs and food that represent the person being honored. "The multiculturalism of our faculty and students is one of our major strengths to impact the community," said SDCE President Carlos O. Turner Cortez. "We look forward to celebrating this tradition every year as we honor our loved ones."